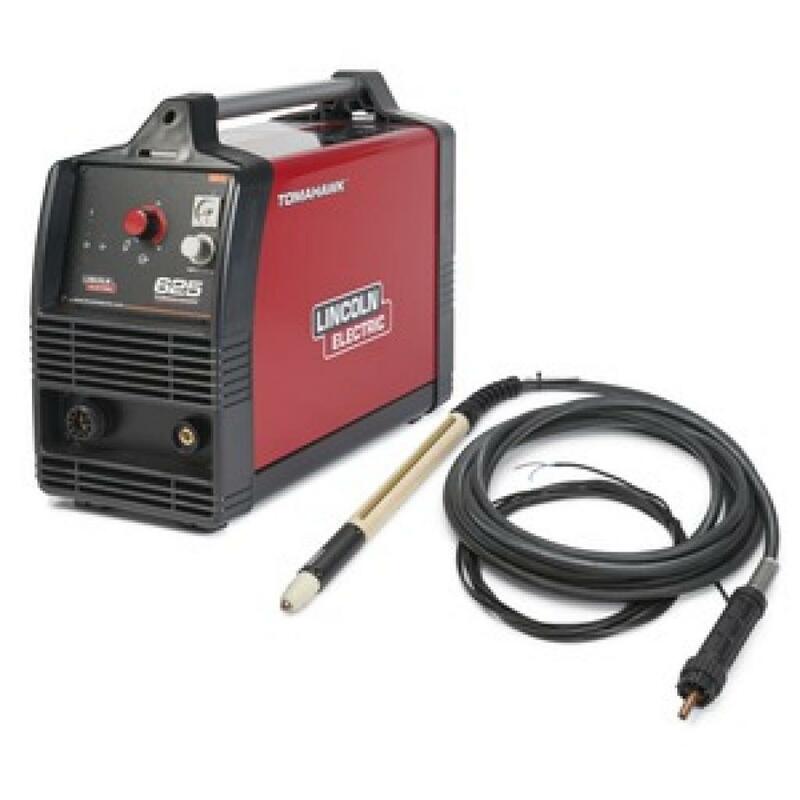 This is a Lincoln Electric Tomahawk 625 240 volt 1 phase 40A plasma cutter. It requires an input of compressed air to cut, and can cut steel up to 5/8" thick. We have a hand-help cutting head and a machine mounted cutting head to this unit. When cutting plain steel, it is fairly non-toxic, but great care needs to be taken that sparks do not meet anything flammable. Any other metal, or metals with chrome, paint, etc, need to be cut outside, due to potentially toxic offgassing. We have 2 pairs of #5 goggles for use with the cutter. This item was bought with money from the Trillium Grant for Schnurr Electric on Gordon St and Wellington.